Wonderful technique! 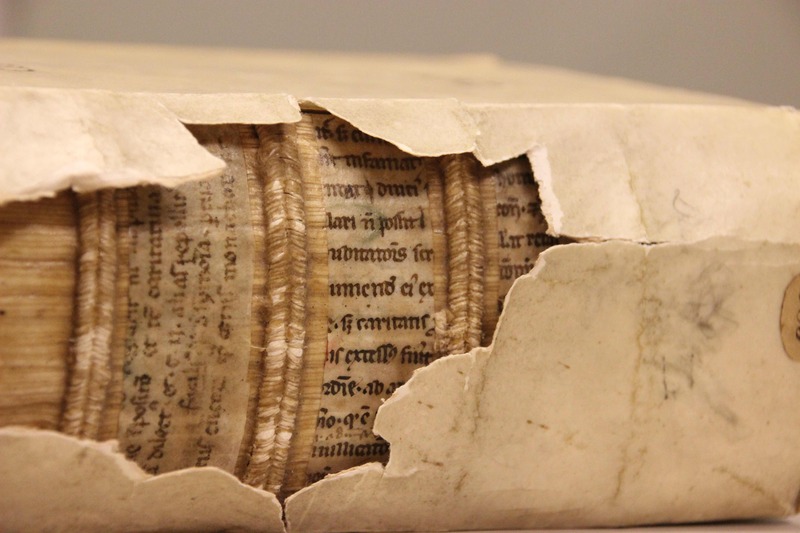 To think that undiscovered – sometimes even unsuspected – texts may lie beneath the bindings. I intend to keep an eye on developments, if I know where I have to look. We bibliophiles all thank you, team. Yes we have, but the books are not important enough to move them elsewhere (by comparison to Archimedes) and so we’ll deal with them in situ. This is so cool! It’s amazing to think that, once the methodology is perfected, we might gain the equivalent of entire libraries full of additional medieval sources. Wow! my father was a radiologist.He would be amazed at what x-rays can do today.When you print a tiff, it takes longer than a jpeg.Is that an analogy to your 24-scan being legible? Not quite, I think: a tiff is uncompressed and thus larger (and it therefore takes longer to load into the printer). A longer scan looks at a given place longer, increasing the resolution of the image it produces. 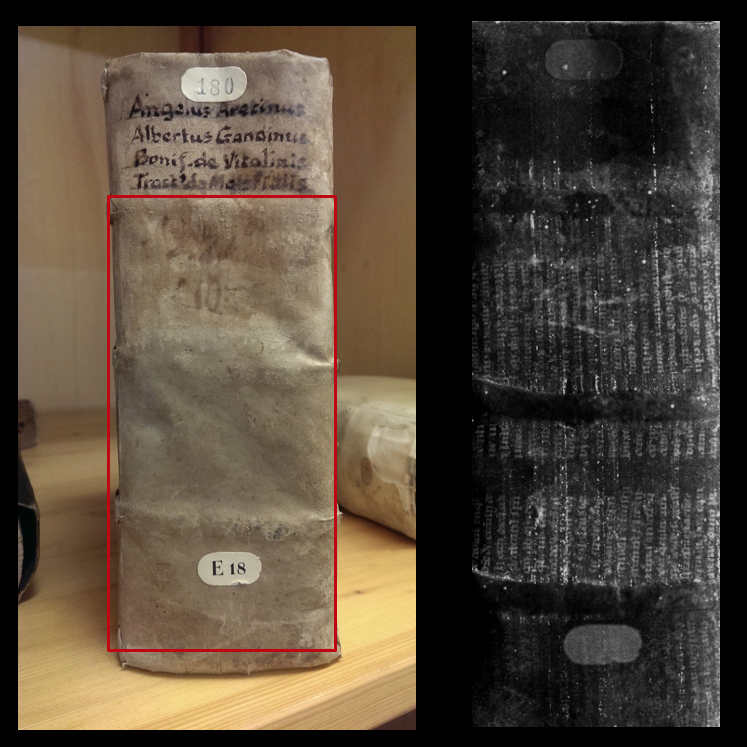 Re-blogged on Great Parchment Book website at http://www.greatparchmentbook.org/ – another collaborative project to digitally reveal hidden treasures. 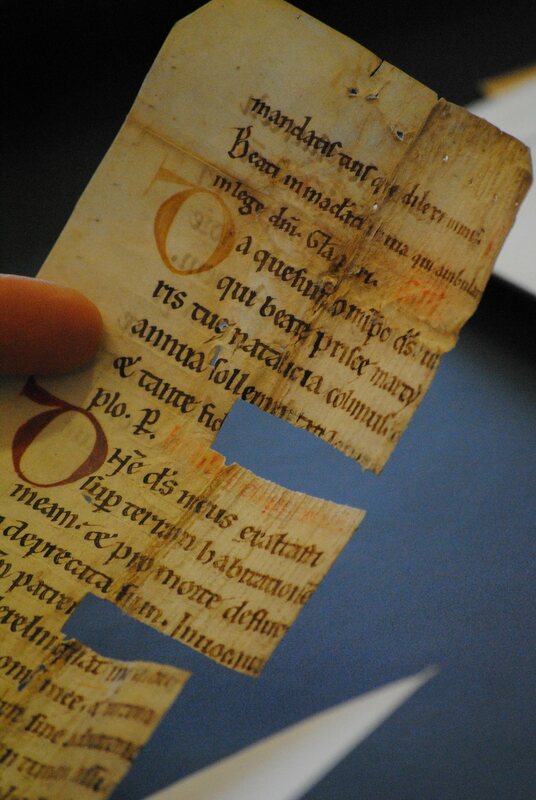 Re-blogged on Great Parchment Book website at http://www.greatparchmentbook.org/ – another collaborative project revealing hidden treasure! 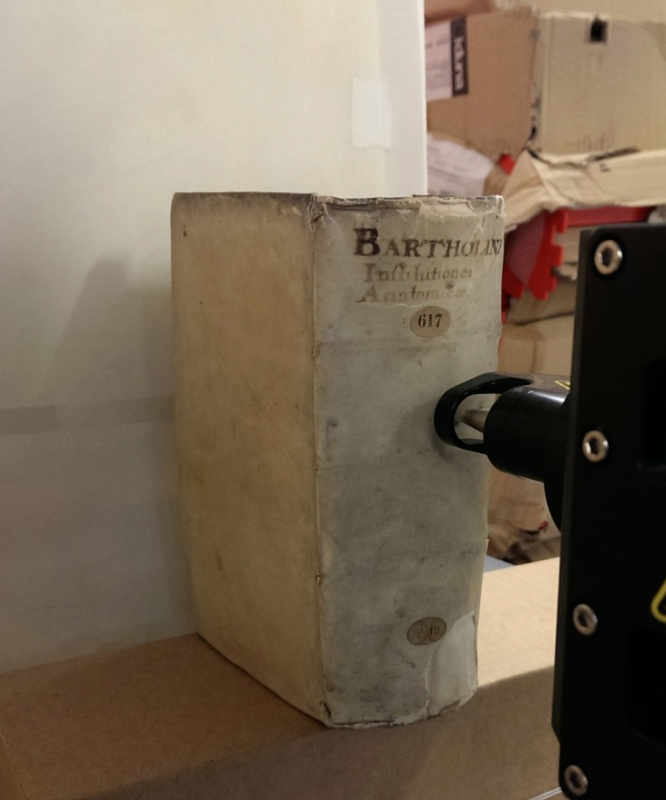 I’ve always been fascinated by the history of the book and book ownership. In fact, when I was doing my graduate studies in medieval Irish literature, I was often more interested in the marginalia that contained the owners’ commentary than the narrative on the pages. I would also look at the genealogy that some bound manuscripts contained and wonder about these individuals listed and what their lives were like. 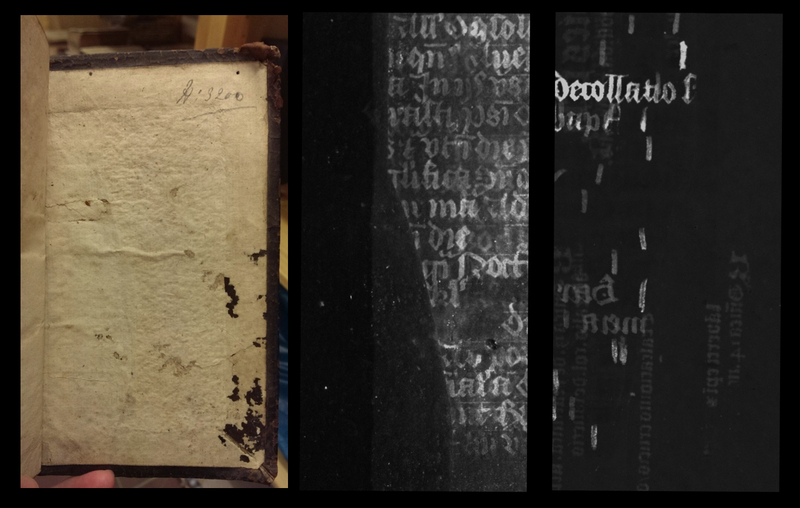 To find out that people are now able to find repurposed (or destroyed if one looks at it this way) manuscript pages in the bindings of early printed books is to know that there is a whole history of ownership living just out of reach. Who chose to discard these pages? 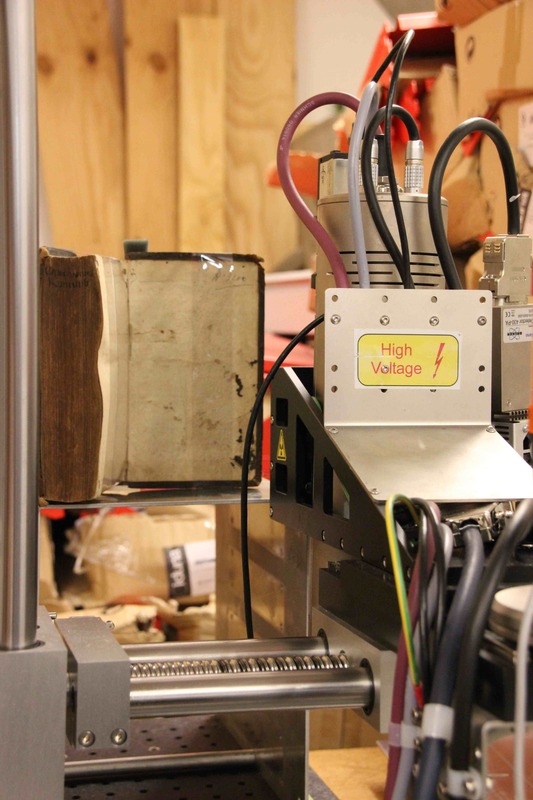 What made them expendable outside of the fact that printing was making book ownership and dissemination more accessible to more of the population? Although my interests have begun to lean towards the modern short story, my interest in ownership and literacy stands strong. These new discoveries may tell us more about the transition to print and changes in literary culture. Great stuff and very interesting. So glad to have found you! 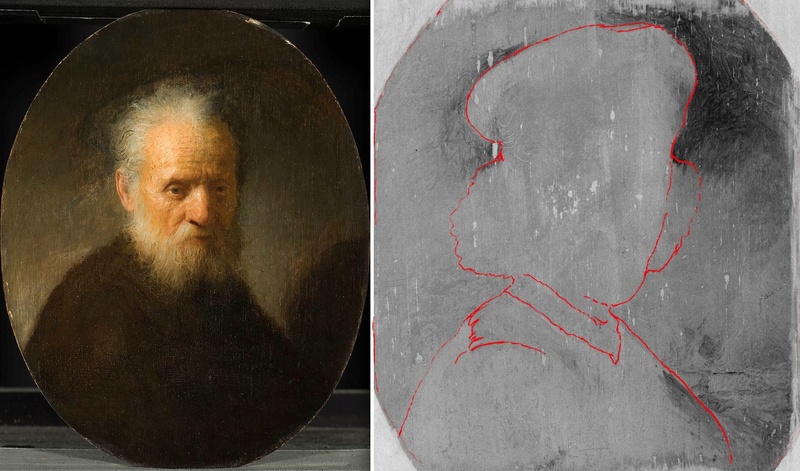 Late reactie, maar ik las dit nu pas (via een vermelding van het Smithsonian). Wat een geweldige toepassing van deze techniek, wie weet wat er boven komt, dit opent allerlei mogelijkheden. 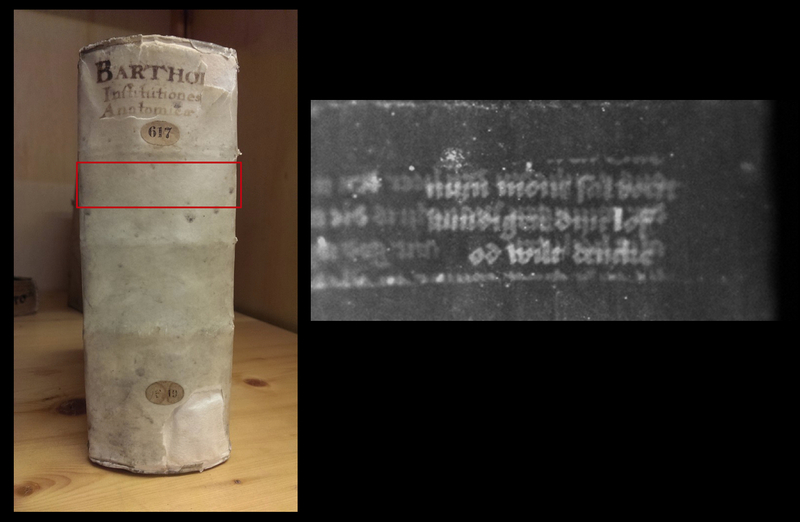 Ook interessant dat dit weer een andere fysieke verschijningsvorm van een ‘palimpsest’ is. Goed werk zeg!